Space Life Online depends on your contribution for future expansion and better capacity. If you would like to be generous towards us, show gratitude for a good service and be a sponsor you have the below links. It will not lead to quicker progress or something similar to so-called "pay-to-win". Donors might get to choose a unique planet with its settings, a planet with only them able to build bases on but where non-paying players can go to mine on or do POIs. This offer is a fair way to reward donors and yet allow others access to what can make them progress. A donor cannot wish for any starter planet, new or existing, to be exclusive to them. Note: No donor will be able to buy themselves resources, bases, ships or levels. 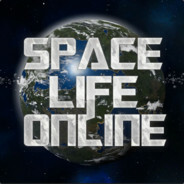 Space Life Online started as a hobby project for me, but taking care of a game server in this type of game I have found to be so stimulating it almost feels like more than a hobby some days, I see it like some sort of duty to provide my favorite genre of games to people in the best way possible. Remember I tune Space Life Online the way I myself find excitement from it and I do some days jump in and play in person, when administrating the server does not take up all of the time I have. Please leave a comment on what you are called on PayPal or Patreon and how much you donated in a PM to me, in order for me to keep check on this particularly in order to distribute the perks associated.